I BELIEVE IN LOOKING AS YOUNG AS I FEEL. The fast, safe and effective way to fuller lips. If your skin no longer reflects your youthful spirit, Brazilian Beauty can help you wind back the clock. Do you feel that your lips are not quite large enough? Do you suffer from dry or chapped lips? Have you noticed a change around the mouth with age? Some concerns simply can’t be treated by skin care or hidden with make-up. That’s why we offer a range of lip volume filler cosmetic injections. 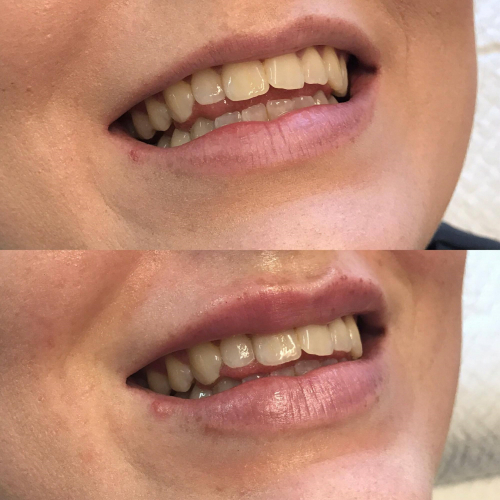 By addressing lip volume loss, lip cosmetic filler Injections can help to reduce the symptoms and appearance of ageing, such as pronounced lip wrinkles, lack of volume and lost definition. Book in now for an honest, lip consultation with a Brazilian Beauty Registered Nurse. Start by booking a consultation with a professional Skin Therapist, to determine the type of treatment appropriate for your skin type. Ensure the treatment area is clean prior to your appointment. Avoid touching, rubbing or applying pressure to the treated area. Be patient. Some results are instant; others may take up to seven days to become visible. You may need to minimise exercise for 24 hours after some treatments. Maintain your skin care regime. Continue to exfoliate and cleanse regularly. If you are unsure about your facial treatment plan, one of our Therapists will be happy to develop one with you. You will need to wait approximately two weeks post some treatments before undergoing facial treatments. Anti-Wrinkle Injections: They reduce wrinkles caused by the continual and uncontrollable contraction of some of the tiny muscles of the face, which wrinkle up the overlying skin. The anti-wrinkle injection substance used is a modified form of a naturally occurring substance which blocks the signals muscles, which ultimately allows the skin to relax. Dermal Fillers: Dermal fillers are gels with a hyaluronic acid base (like a sugar gel), which can be injected into certain areas of your face to either correct wrinkles, fill in deep scars or non-surgically change the shape of certain parts of your face. Hyaluronic acid is a substance found naturally in the body, and over time the dermal filler breaks down via normal body processes. Anti-Wrinkle Injections- The principle behind these anti-wrinkle injections is quite different to that behind other wrinkle reduction treatments. Dermal Fillers work on replacing volume- that of lifting and filling in facial volume in order to fill out wrinkles. Anti-wrinkle injections work on a biological basis; blocking the signal from the brain which tells your wrinkle-causing muscles to contract. Compared to other methods of changing the shape of your face (such as your nose, lips or cheeks), dermal fillers offer the advantage of being non-permanent and creating a generally more youthful look.. Dermal fillers allow you to experiment with different facial changes in a non-permanent way. Anti-Wrinkle Injections – Anti-wrinkle injections are particularly effective in treating a specific type of wrinkle. If you have deep frown lines or forehead or crow’s feet, anti-wrinkle injections may produce best results for you. Anti-Wrinkle Injections – Any side effects that occur are temporary. The substance used for anti-wrinkle injections has been completely cleared by the Therapeutic Goods Administration in Australia, as well as the FDA in the US. Botox has been used for over 40 years therapeutically with minimal side effects. Dermal Fillers – Ordinary side effects following dermal filler injections include swelling, redness, bruising and mild asymmetry as the inflammation settles down. Anti-Wrinkle Injections – You’ll need a single treatment every 4 months. There is no cumulative effect with anti-wrinkle injections. Repeated treatments will depend on the individual and our medical team will be able to advise the best time to make your next appointment. 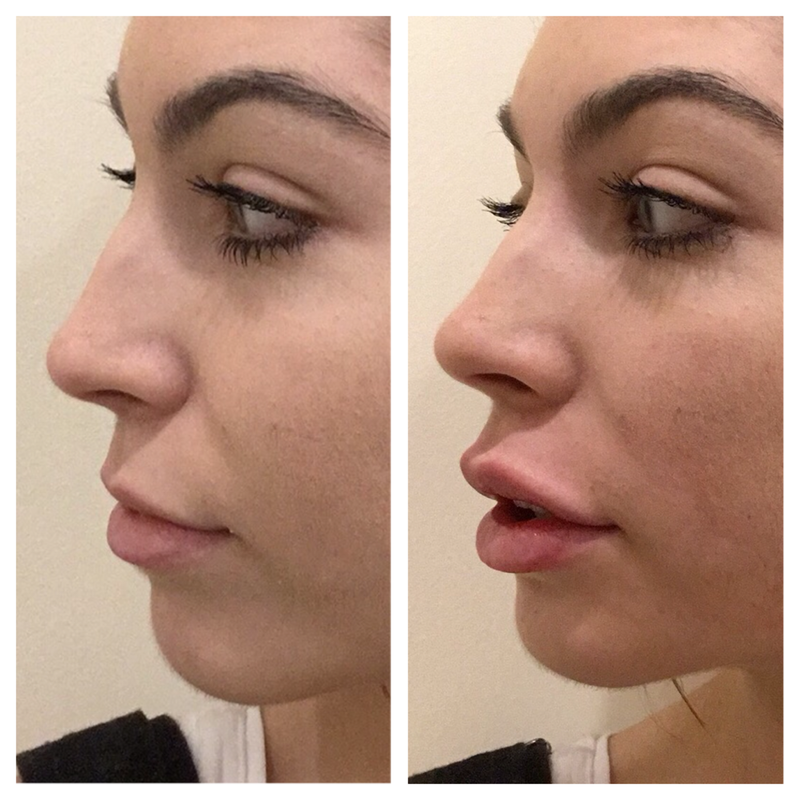 Dermal Fillers – A single treatment every 9-12 months is needed. The dermal filler product we use contains a local anaesthetic that makes the injection comfortable. The dermal fillers are injected, and we apply cold packs immediately afterwards. ASI Mineral make-up completes the look and allows you to resume your daily activity. The procedure takes about 30-60 minutes in total, depending on the size of the area to be treated. Anti-Wrinkle Injections – Anti-wrinkle injections are administered using a very fine needle and a very small amount of liquid. Many people say they feel like a mosquito bite. Dermal Fillers – Local anaesthesia can be used if necessary, although it isn’t needed for all patients. Without local anaesthesia, we would rate the pain of dermal filler injections at around 2.5/10. With local anaesthesia, we would rate the pain of dermal filler injections at around 0.5/10. Anti-Wrinkle Injections – You can expect the full effect of your anti-wrinkle injections to be apparent after 3-7 days, and for the effect to last approximately 3-4 months. Note forehead Botox treatment will only last approximately 6-8 weeks. Dermal Fillers – Much of the difference you see after your initial dermal filler injection will be due to swelling; you should see the ‘real’ results after about 3 days. You’ll be able to return to work and wear makeup immediately afterwards, although we recommend you don’t commit yourself to any activities after your first-ever appointment. Can Fillers be combined with other treatments or procedures? Yes. Dermal rolling and IPL Skin Rejuvenation are great treatments if you’re looking for a complete facial overhaul. However, it is advised to wait two weeks after your procedure before IPL treatments. 10 Cosmetic Injection hacks you need to know about!